Let’s have a look at four interesting animals from Australia. This time we’ll focus on animals with fur. 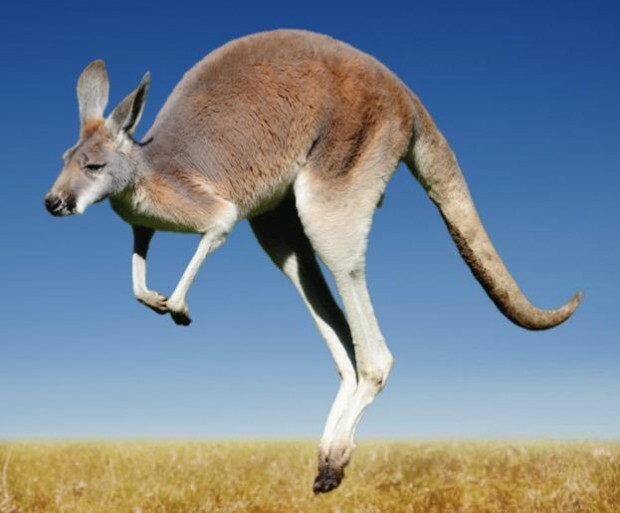 Kangaroos are possibly the most famous Australian animals. There are many different types, with adult sizes ranging from about 45cm/1.6kg up to 200cm/90kg (that’s really big!). They are marsupials – animals that raise their babies in a pouch on the front of their bodies. 70% of the world’s marsupials are found in Australia. Koalas are another possibility for most famous Australian animal. 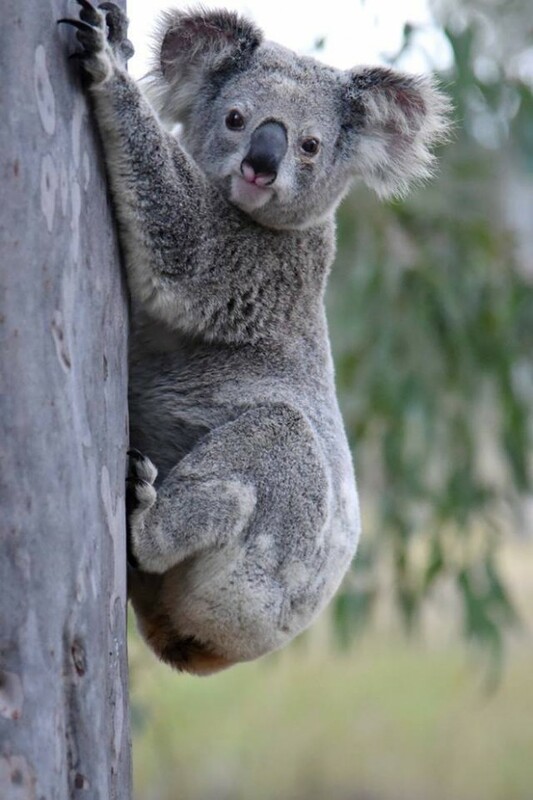 Their diet is almost entirely made up of eucalyptus leaves and they are asleep most of the time – they are only awake for about 4 hours a day! They are also marsupials, like kangaroos. 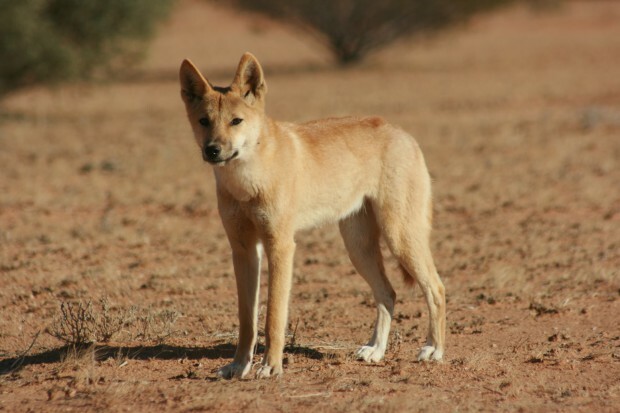 Dingos are Australia’s only native dog. They are a bit like small wolves, but less dangerous and they generally avoid humans. They don’t bark very often, but they like to howl and whimper. Dingos are found mostly in the northern part of Australia. I have lived mostly in the southen part of Australia and have rarely seen Dingos in the wild; so when I do it is quite a shock! 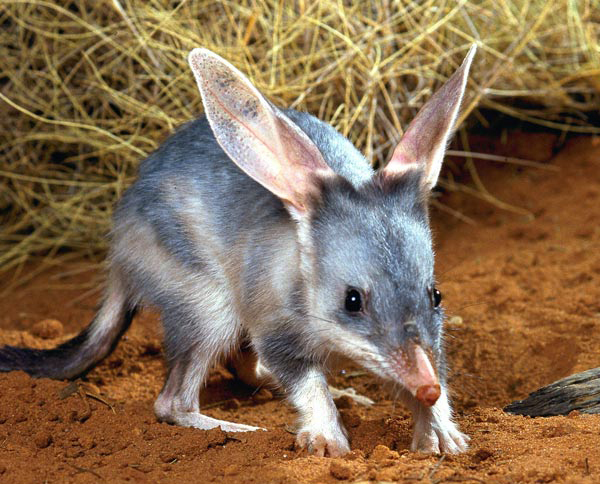 The Bilby is another small marsupial that lives in the desert. They get their water from the insects they eat at night, so they don’t need to drink. They dig tunnels like rabbits and live in underground cave systems. There is a movement in Australia to replace the Easter Bunny with the Easter Bilby – because some people feel it is better to use an Australian animal.